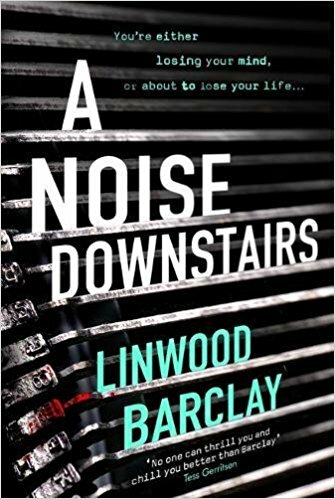 Linwood Barclay has stepped, almost literally, into the unknown with his breathtaking new novel, A Noise Downstairs. A novel packed with pace, psychological puzzlement and tense, gripping drama, here is a novel guaranteed to have you ignoring the light for awhile. Paul Davis forgets things – he gets confused, he has sudden panic attacks. But he wasn’t always like this. Eight months ago, Paul found two dead bodies in the back of a co-worker’s car. He was attacked, left for dead, and has been slowly recovering ever since. His wife tries her best but fears the worst. Therapy helps during the days, but at night he hears things – impossible things – that no one else can. That nobody else believes. Either he’s losing his mind – or someone wants him to think he is. At the end of the day, just because he’s paranoid doesn’t mean it’s not happening. This is Barclay at his best. Davis isn’t a man we may particularly like as a person, but nevertheless the author manages to embody him with such an intense sense of helplessness we cannot help but be on his side. His therapist, Anna White, is also a deliciously drawn character who has a depth and personality that’s as credible and flawed as she is compassionate and hard edged. The plot is eked out by degrees, increasing the tension word by word until, finally, the denouement arrives and we as voyeurs for over 300 pages, are left breathless. Yet it is Barclay’s marvellous grip on dialogue which really makes A Noise Downstairs sing. Light mixes with dark as well as incredulity mixes with revelation and in Linwood Barclay’s hands the conversations truly pick up and reduce the pace fabulously well. A Noise Downstairs is a superb novel. A tense, wonderful tale that strikes just the right note right the way through so as to keep even the most adept reader guessing.